5/08/15 – Update v4.7 Drop Last Object, Proxy Server Upgrades, & UI Improvements. Tabletop Simulator is on sale at the Humble Store for 25% off for their weeklong sale. You can also buy both the individual and 4-pack for the same discounted price on our website. As we’re getting closer and closer to release, let us know what fixes need to be made and the most important things you want to see included in Tabletop Simulator. We can’t add in everything, but we read all your suggestions and add in what would be best used universally. Both suggestions and bug reports can be posted on our official forums. This update is a combo of yesterday’s hotfix/mini update and today’s patch. We’ve upgraded the Proxy Servers, added a Drop Last item, which is great for a deck of cards and other stacked objects and added in some other improvements to the UI. Upgraded the US and EU proxy servers for more concurrent players. Fixed issue that requires us to patch the game if we upgrade the proxy servers. Fixed not getting the proper disconnect messages when connecting through the proxy (kicked, invalid password, etc). ‘Alt’ + ‘Right Click/Tap’ now drops the bottom card of deck. This also works for dropping an object from a stack (chips, bags, etc). 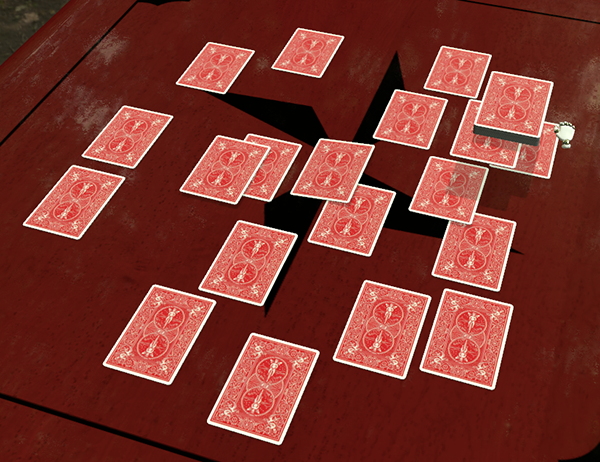 Fixed dropping the last 2 object of a deck/stack at once. 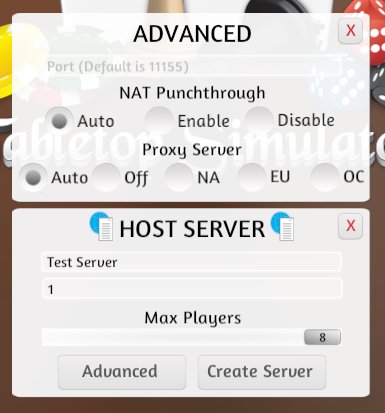 Simplified the host server menu by moving advanced features (Ports, NAT, and Proxy) to a separate menu. The UI will now remember your last inputs on the Server Browser, Host Server, Direct Connect, and Hotseat menus. Improved the accuracy of the camera’s rotation position. Fixed the camera positions for the yellow and green players on the poker table. Fixed a problem loading certain mods using joints. Fixed typo on the workshop update menu. Fixed the black/game master color from being able to cover up the “Pick Color” text. Fixed selecting ‘do not ask me again’ about a Tablet opening a URL. This will now properly work when initially loading the Tablet.